P O T A G E R: Is it Too Late/Too Warm/Too Cold to Plant my Flower Bulbs? The end of November and the first part of December is the optimal time to plant tulips, daffodils and spring bulbs. A couple of weeks ago, I did a segment on 4 YOUR GARDEN (here for past segments) on tulip and spring flower bulb planting and if it was too warm to do so. You can watch the episode below. Now that December and colder weather has finally arrived, I am being asked if it is too LATE to plant tulips, daffodils and other flower bulbs for spring bloom. Hundreds of bulbs from Colorblends.com await planting in my front flower beds. Well. NO! Mid-November to mid-December is the perfect time here in the South and in Oklahoma to plant spring blooming bulbs! 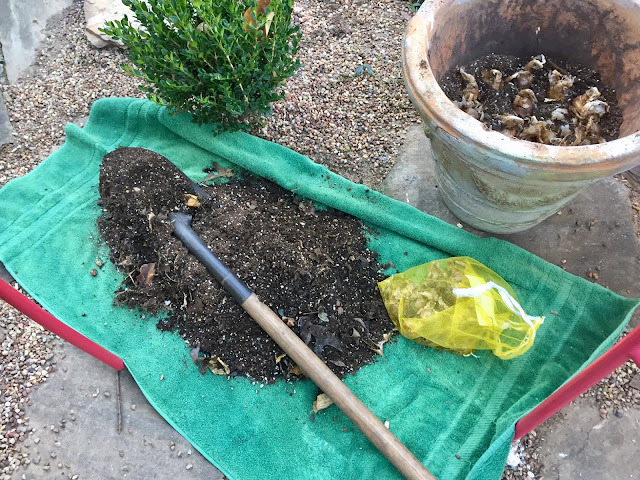 I usually try to get my 800 tulips and other flower bulbs in the ground just before Thanksgiving for two reasons: I like to have them tucked in before the mayhem of the Christmas season right after turkey, and because in OK, our ground temps have usually cooled enough to do so. Dig large holes for planting multiple tulip bulbs spaced about 1.5-2" apart, to a depth of at least two and a half times the size of the bulb. 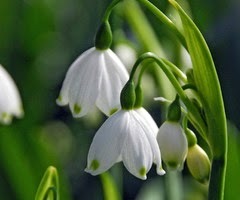 For more on Snowflakes and other white spring bloomers go to a post I wrote here about these dainty bloomers. This is the first time I have planted Spanish Bluebells and I am excited to see how they perform. When excavating dirt out of the garden or pot for bulb planting, use a tarp or towel to keep cleanup to a minimum. so you would do well to get them into the garden or pots and containers as soon as possible and cross it off your list. Trust me, it is time well spent, and the anticipation of that much erupting beauty come spring will warm your cockles in the depths of winter. 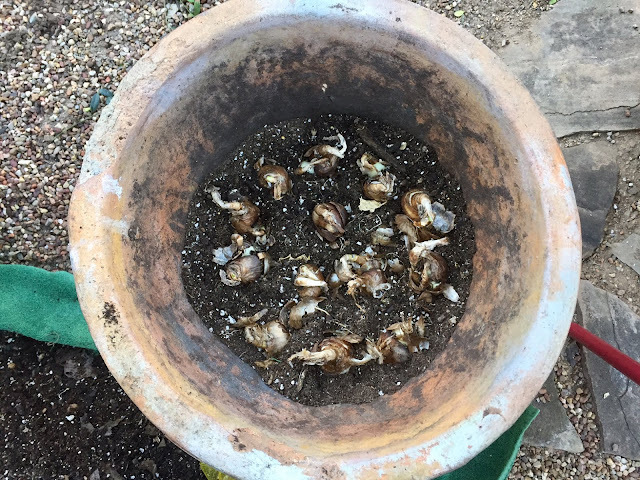 I had extra Snowflake bulbs so I am tucking some in a winter hardy pot, planting deeply in good soil. I will mulch the top with leaves after doing so. These miniature iris bulbs were tucked into a concrete window box with a box topiary and ivies. Since it has been especially dry this fall, I watered them in well after planting to get their roots off to a good start. I used to use a bulb food when planting, but no longer do. Since I treat my tulips as annuals, the bulbs themselves have all the nutrients they need to perform brilliantly. I like to save the mesh bags that my bulbs come in for later use. After washing them, I put them into service as produce bags for grocery shopping. Waterproof red polkadot gloves make for cheery gardening.